* Would you like a safe or safer horse? * Would you like your horse to feel safe around you? * Do you want to build your confidence around your horse? * Do you want your horse to be confident in your company? IF YOUR ANSWERS ARE "YES", YOU ARE IN THE RIGHT PLACE! This website is about natural horsemanship in its broadest sense. Natural horsemanship strives to work with the nature of the horse rather than struggle against it. 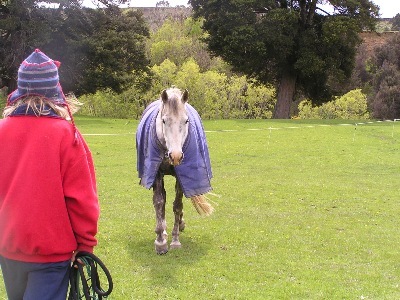 Click on the Article of the Day link for articles about various aspects of natural horsemanship. 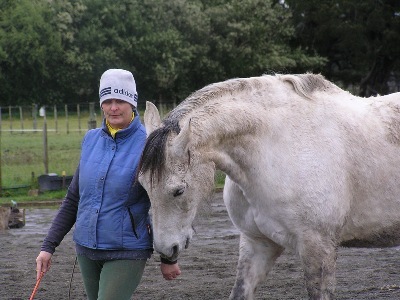 The aim of Natural Horsemanship is to create a horse-human bond that allows the horse to feel understood and safe. If we take a horse away from the ‘family group’of the life he knows, it becomes our responsibility to ease him into the new situations that confront him. Study of natural horsemanship gives people a better understanding of the horse natural history that underpins the emotional, physical and mental capabilities of horses.It allows people to learn and get good at International Horse Language while the horse is at liberty in a large, safe enclosed area without the interference of ropes and small round pens. 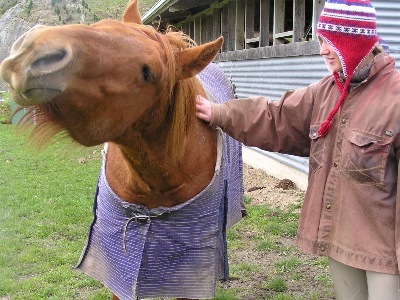 It helps people learn the physical skills of gear handling,the emotional skill of neutrality and the mental skill of being able to read horse body language, so that the handling of the horse can be as appropriate as possible in any given moment. The goal is to keep the horse in responsive mode, rather than switch into reactive mode. Horses are not like motorbikes that you send to the repair shop and get them back fixed. Horses are more like children. They need a teacher they trust. They need regular, consistent education via enjoyable activities that increase in complexity as they get older and smarter. They need to be exposed to many situations to give them opportunities to become bolder. 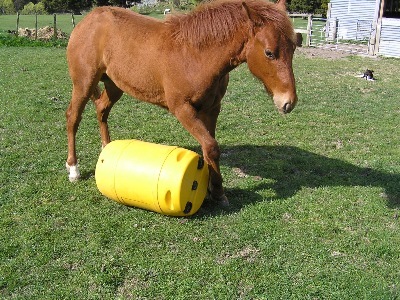 Like children, each horse will have his own time-line for learning something new. Respecting the horse’s time-line will build lifelong confidence. The more consistent and trustworthy we can be for our horse, the more consistent and trustworthy he will become in our care. It consists of two volumes. The first volume provides the notes. The second volume is an extensive workbook with guided theory and practical lesson plans to help you become a superb teacher for your horse.